We starting morning with burned Worktop repairs in Bromley, Greater London. This time Worktop surface was damaged by falling ash from shisha pipe. 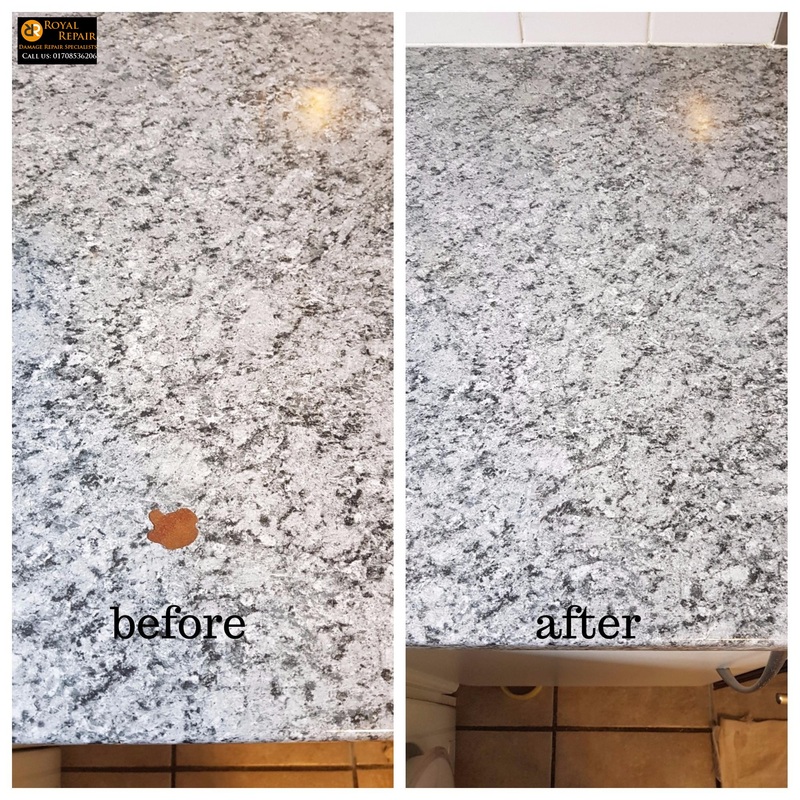 Tenants used our Emergency worktop repairs services in London. 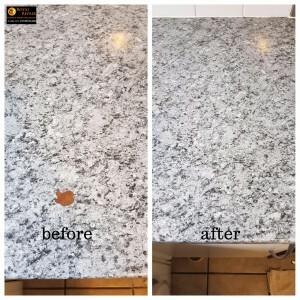 Worktop damage repairs was completed on the same day for no extra charge! One more happy costumer in Bromley after work surface repairs completed. We also fix scratched chipped or cracked worktops, counters and doesn’t matter if it’s laminate or stone.